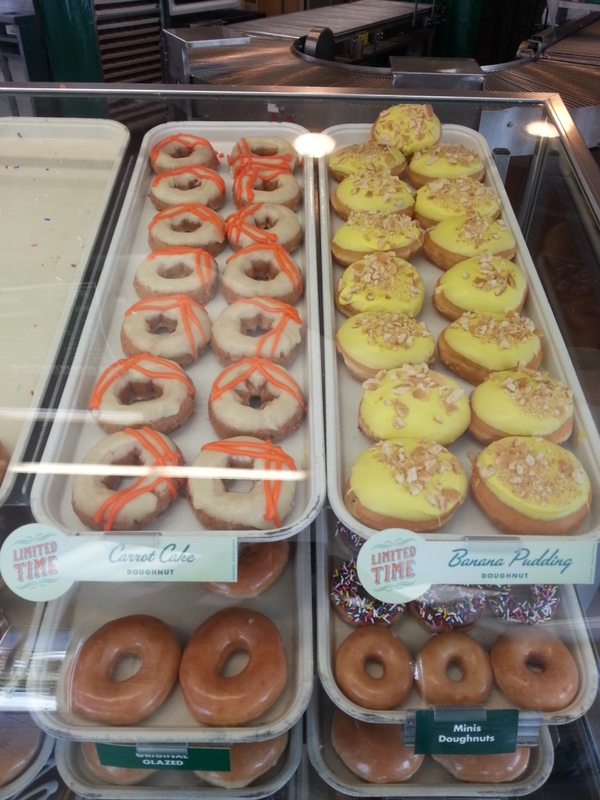 I went to Krispy Kreme today to check out the new flavors of doughnuts available this summer. 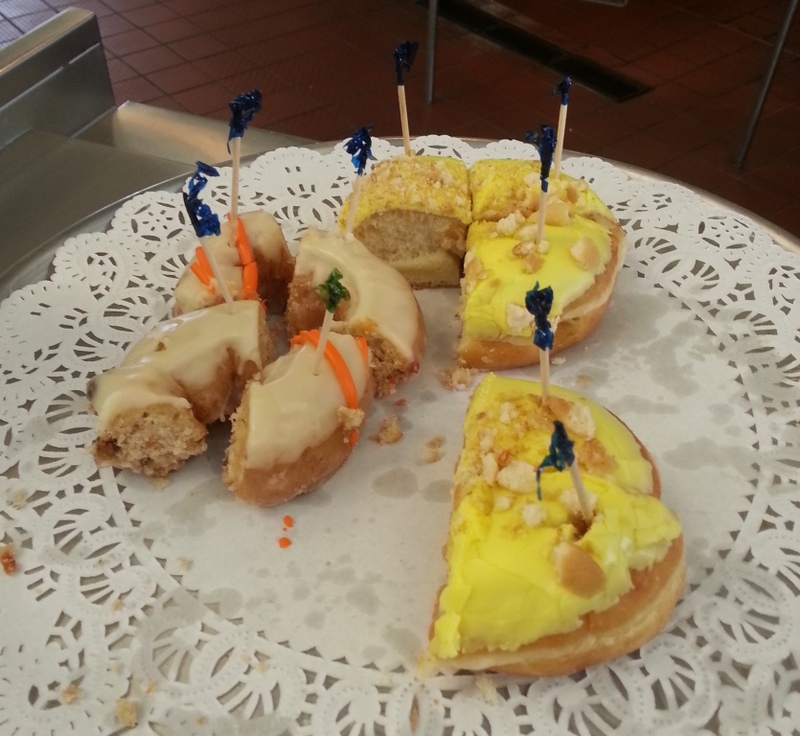 The two new flavors, which are Krispy Kreme’s new Southern Summer Classics, are Banana Pudding and Carrot Cake. According to their press release, these flavors began to be available from the middle of last month and through the end of this month. I was happily surprised that these flavors were available for sampling and I availed myself of them. The press release describes the Banana Pudding doughnut as “a moist shell doughnut filled with scrumptious banana Kreme™ filling, topped with a yellow icing that hints of the flavors inside and a vanilla wafer topping.” I found this one to be quite yummy, especially since I enjoy their kreme filling. Also, it is noticeably, but not overwhelmingly banana-y. The press release describes the Carrot Cake doughnut as “a yummy cake doughnut with carrots and spice, topped with cream cheese icing and tasty stripes of orange icing.” I think it was my first time having a cake doughnut, which was noticeably a different texture, and it wasn’t really for me. I am sure there are people who enjoy this style, but it wasn’t for me.